This month sees the publication of Nemesis of the Daleks, the fifteenth volume in the ongoing series of Doctor Who Graphic Novels, published by Panini Books. The Graphic Novels are collections of comic strips that originally appeared in the pages of Doctor Who Magazine and other related titles. 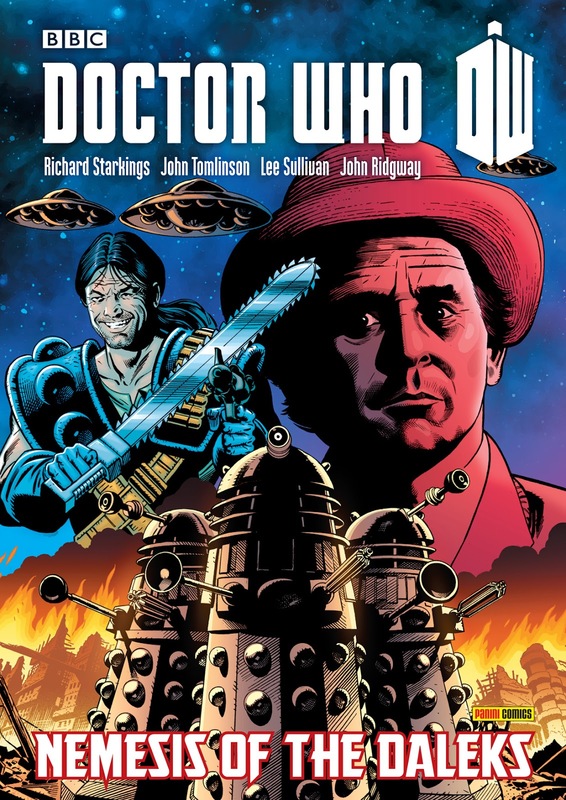 Nemesis of the Daleks, named after the book’s opening strip, is the second volume of Seventh Doctor comic strips (picking up where A Cold Day in Hell!, published in 2009, left off). The stories in this collection originally appeared in 1989 and 1990. At that time the strips not only ran in Doctor Who Magazine but also in a second Marvel Comics UK title, The Incredible Hulk Presents. Comic strips from both titles are included in this book, with a number of stories reproduced for the first time since their original publication. The book includes the popular ‘back up’ strips featuring Abslom Daak from 1980 issues of Doctor Who Weekly and Doctor Who Monthly, to tie-in with the character’s appearance in the Nemesis of the Daleks story. There is also a detailed commentary by former Doctor Who Magazine editor John Freeman, featuring input from the writers, artists and editors who worked on these strips, with reproduced script pages and rough pencil drawings.